I won’t make excuses – I’ve been slacking. I’ve literally neglected this little digital home I’ve created. From work taking up most of my emotional energy and subsequently feeling uninspired to create, I’ve fallen into the trap of inconsistency. I recently contributed to Spirited Pursuit, one of my favourite travel sites [and if you haven’t checked out my unofficial guide to London, check it out now] – it’s more ‘cheeky Nandos’ than ‘my top 10 coffee shops’ and I couldn’t be prouder! I did it for my London and I’m happy it got received so well. I reached out to a mentor and got one. I also reached out to a therapist. I’ve visited Prince of Peckham for their jerk haloumi, fries and rice & peas more times than I care to admit. They also do weekly club nights upstairs; local DJs Born ‘n’ Bread have graced the decks, so you know the vibe is serious. Bragg Organic Apple Cider Vinegar as a toner. A couple of drops on a cotton pad and apply it in the morning and in the evening. My skin seems to like it. Lush clay self-preserving Face & Body mask – breaking out for no reason seems to be a ‘thing’ when you’re approaching 30. This has been really helpful with my troublesome spots. Boulder Climbing – Such a productive way to get out some aggression. They also do an introductory offer of £25 for unlimited visits (for one month). Phlearn – and in case you’re not feeling shelling out some money, Phlearn is hands down one of the best free tutorials for learning how to edit in Photoshop and Lightroom. Yoast SEO – a web optimisation tool. It’s been invaluable for me. 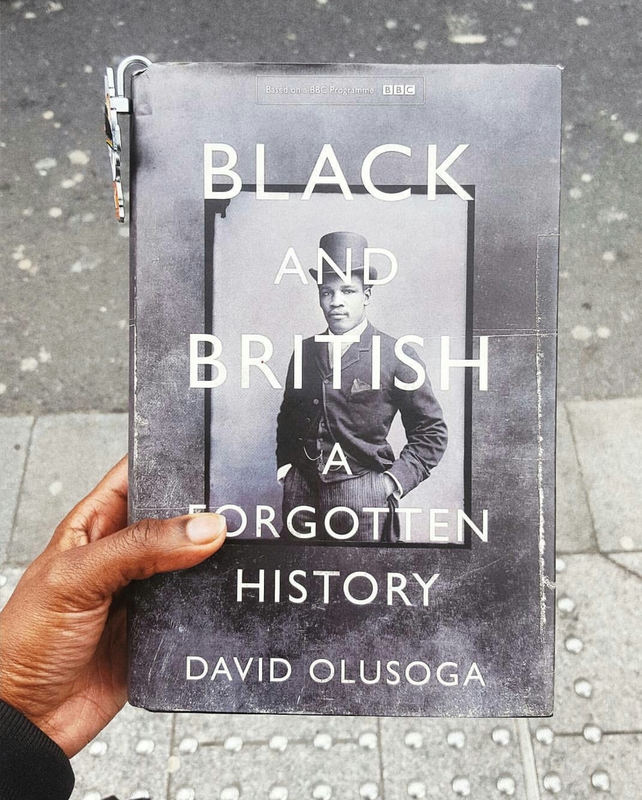 Blink by Malcom Gladwell but I’ve temporarily abandoned it for Black and British – a forgotten history, by David Olusoga. I’m hooked. I’ll try not to be away for so long next time.